There are many ways people seek debt relief. Some look for a slow and steady payment plan. Others prefer a consolidation loan. Those that consider more extreme options should be aware. Cashing fund accounts to cover debts can be dangerous. These types of strategies could do more harm than good. Your retirement account is an investment in your future. Most people cherish the value of peace of financial mind for the future. 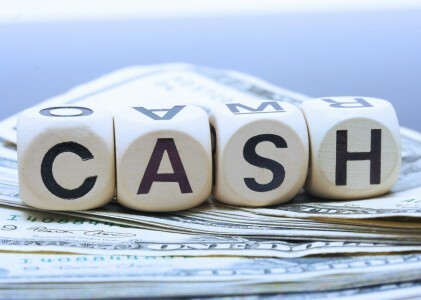 If you are dealing with debt problems it may be tempting to cash it out for quick money, don’t. First, think about what you are actually getting. Yes you would get a large chunk to use towards getting out of debt. You also would get a large tax liability bill. Cashing out a 401(k) leaves you responsible paying the taxes on the amount you withdraw. You are probably thinking that large sum of cash could go a long way in paying off debt. On the other hand, it could also leave you more vulnerable to debt in the future. Without a retirement account you are not going to be able to make ends meet when you stop working. Also, consider how long it took to build that fund. Do you think you will ever have time to put that amount back plus more? Most likely, not. Don’t risk tomorrow what you need to pay for today. There is another way. Contact a credit counseling agency for other options about relieving your debts. Their courses can teach you many solutions for getting out of debt that do not require you to drain your retirement. If your debts are becoming unbearable, contact a bankruptcy lawyer in Houston. We can stop creditors and discuss your debt relief options.